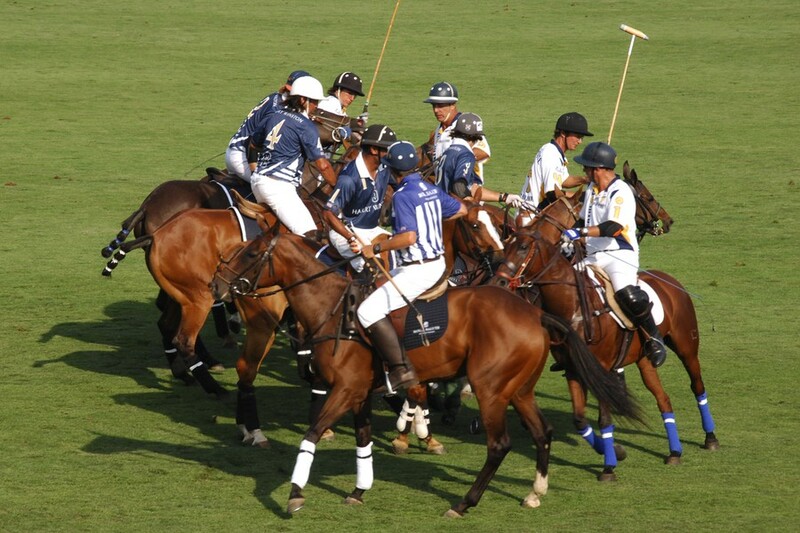 All these restrictions on polo tycoons are starting to make me rethink this as a lifelong ambition. First, they get on you for leaving the scene of a fatal accident, and then they won't let you adopt your 42-year-old girlfriend. It's really starting to seem not worth it. A Florida appeals court ruled yesterday that John Goodman (not the actor John Goodman, the Florida polo tycoon John Goodman, who founded something called the International Polo Club) committed a fraud on the court when he failed to notify it, or the opposing parties in a pending lawsuit, about his plan to adopt his girlfriend and thereby give her access to a substantial trust fund. The trust was one in which "all Goodman's children were to share equally," so if his girlfriend also became his child … you get the idea. The "Adoption Agreement" also gave the girlfriend/daughter almost $17 million in additional assets plus an unlimited right to ask for more money from the trust, not a bad right to have if you can get it. This concerned Goodman's two existing children and his ex-wife for obvious reasons, and also bothered the parents of Scott Wilson. Wilson died in 2010 after a car accident involving Goodman, who was allegedly drunk at the time. The accident knocked Wilson's car into a canal, whereupon Goodman suddenly remembered some polo tycoonery he had to take care of, and, to use a legal term of art, he skedaddled, without even calling 911. Wilson died. Goodman was convicted of DUI manslaughter and vehicular homicide and sentenced to 16 years in prison, but is out on bail pending appeal. In 2011, and coincidentally while a civil lawsuit by Wilson's parents was pending, Goodman decided to adopt his girlfriend and give her a bunch of his assets, which would coincidentally have made them not "his" assets for purposes of a potential judgment. And he coincidentally forgot to tell anyone (such as his actual children) about this until after the time to appeal the adoption order had coincidentally expired. The trial court agreed that the children were entitled to notice of the adoption, but did not think the concealment was enough to actually vacate the adoption. The Court of Appeal disagreed with that last part, saying Goodman committed a "fraud on the court." A concurring judge went a little further: "Even if the motivation and the means for securing [the adoption] were not so reprehensible, I believe … the adoption of a paramour is so contrary to the beneficient purposes of such an action that no such judgment can ever be sustained." There are such things as adult adoptions, of course, but generally this is to allow stepparents to adopt children they raised, not to divert millions of dollars to a significant other in advance of a possible wrongful-death judgment against you. I guess I should mention that Goodman has denied being drunk and claimed that the accident only happened because his car "malfunctioned," so this could all be a big misunderstanding.